Fig. 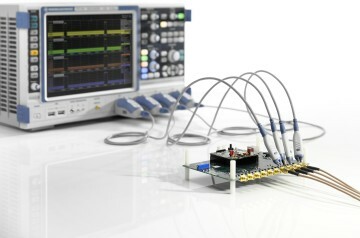 1: The R&S®RTO oscilloscopes’ outstanding RF characteristics and their numerous debugging functions for MIPI® interfaces save time during development. Many components in modern smartphones communicate with each other via interfaces standardized by the MIPI® Alliance. R&S®RTO oscilloscopes can analyze these interfaces’ signal integrity and data content with maximum efficiency to quickly locate errors.